In a Spin with my In a Spin Quilt and a Prize! … but then I was “In A Spin” as to what to do next. 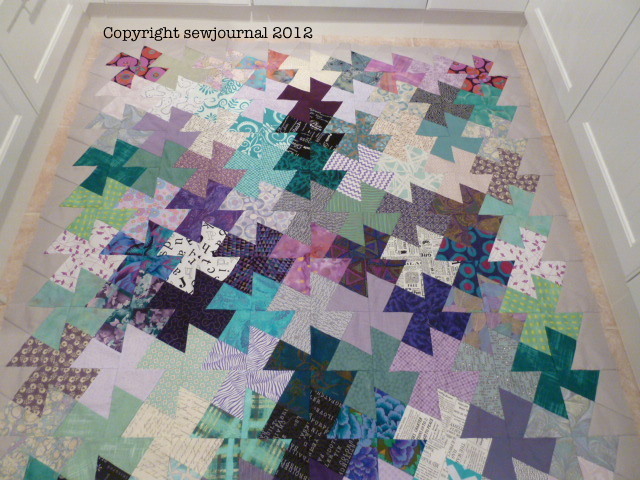 Should I just quilt it as is and add my nice binding? Should I add a coloured border then more grey then the binding? 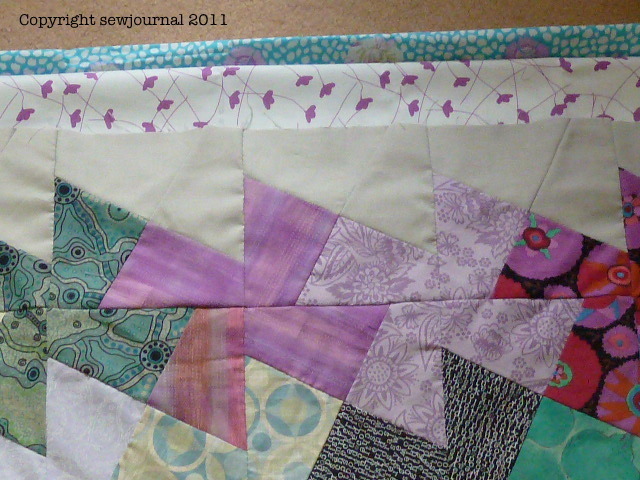 Or should I add a coloured border then the binding? I decided to quilt as is and add the binding, so I spent a very warm and humid Christmas Day ironing my quilt top, sewing the backing so that it was wide enough and then starching it and ironing it too. Hope you all had a lovely break. There’s a mistake on this page. If you’re the first person to spot it and comment then I’ll send you a little surprise something. Good Luck! I see that the first picture says 2012! Other than that, it looks marvelous. I do love that gingko leaf fabric, but I just can’t figure what I would do with it. My goodness Linda that was quick! Do you never sleep. LOL Well done. Email me your street address and I’ll send you a little surprise. 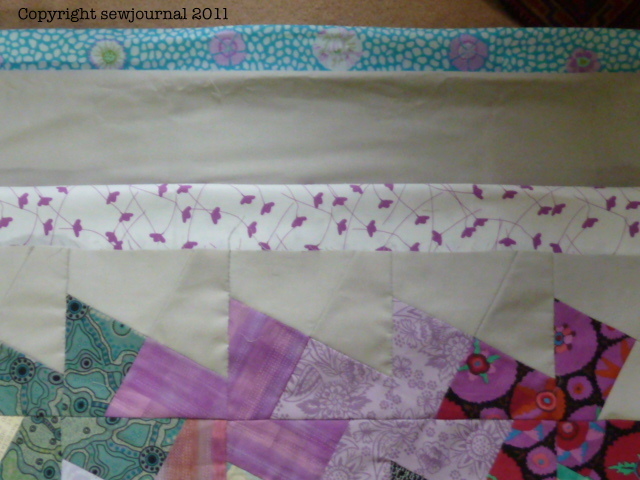 I think a narrower border the lavender and white and the binding would look better than the wide 2nd border. PS I was later than Linda!!! I really like this quilt, but I’m really trying to finish a few things before letting myself get carried away with new projects. Maybe 2012 will be when I catch up with myself!